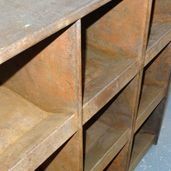 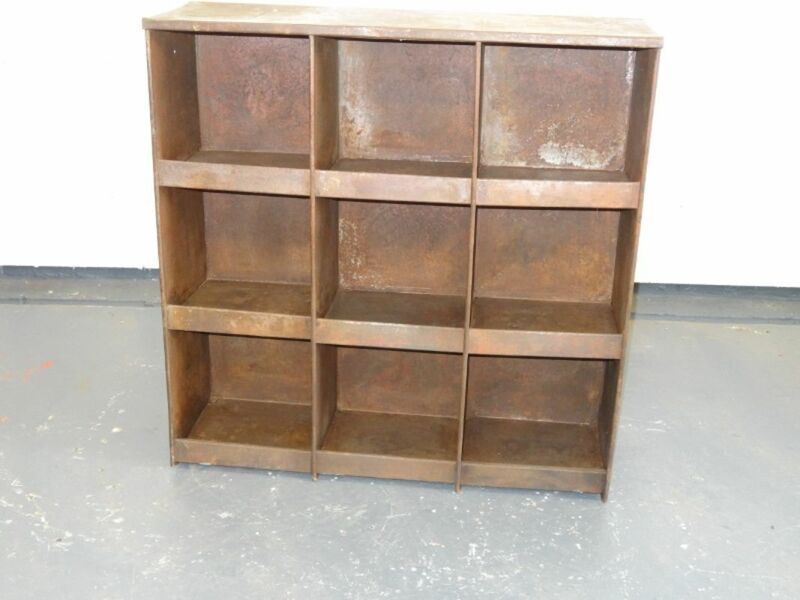 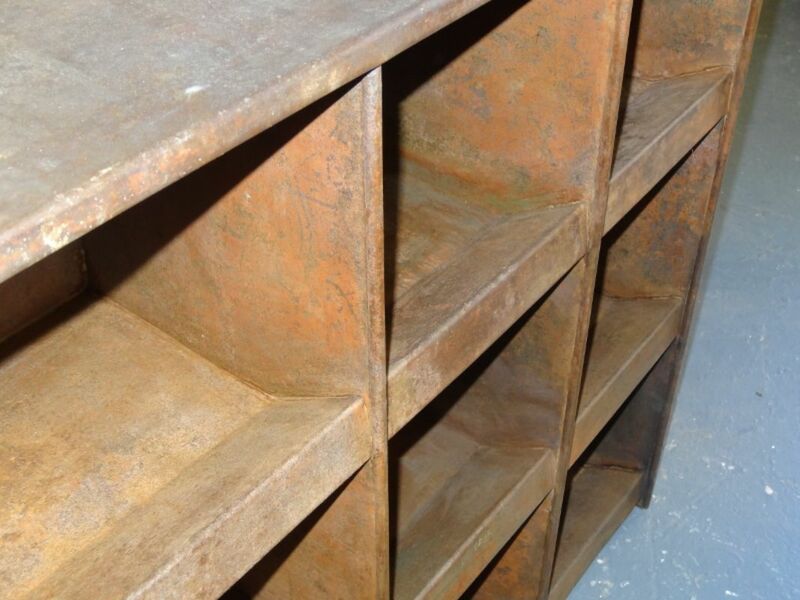 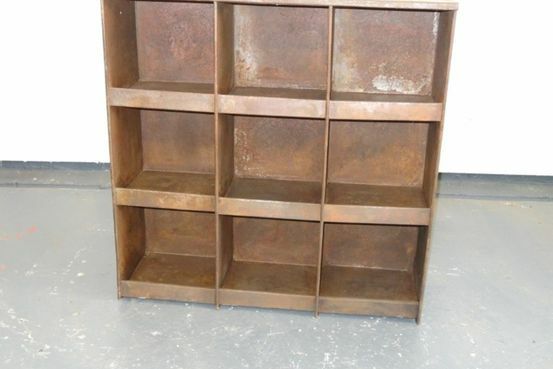 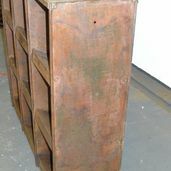 Steel Workshop Racking with sloped lead to shelves suitable for use in kitchen, bedroom , shed etc. 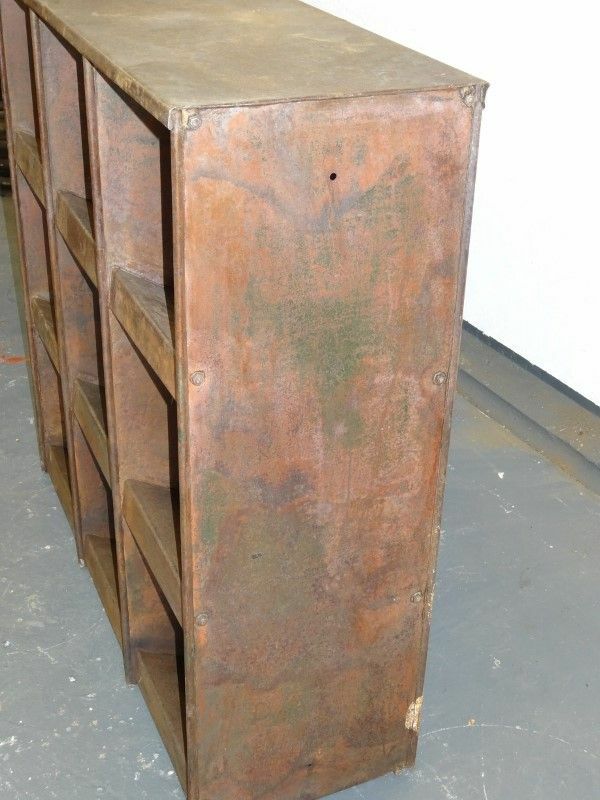 36” (92cm) wide 36 ½” (93cm) tall 12 ½” (32cm) deep. 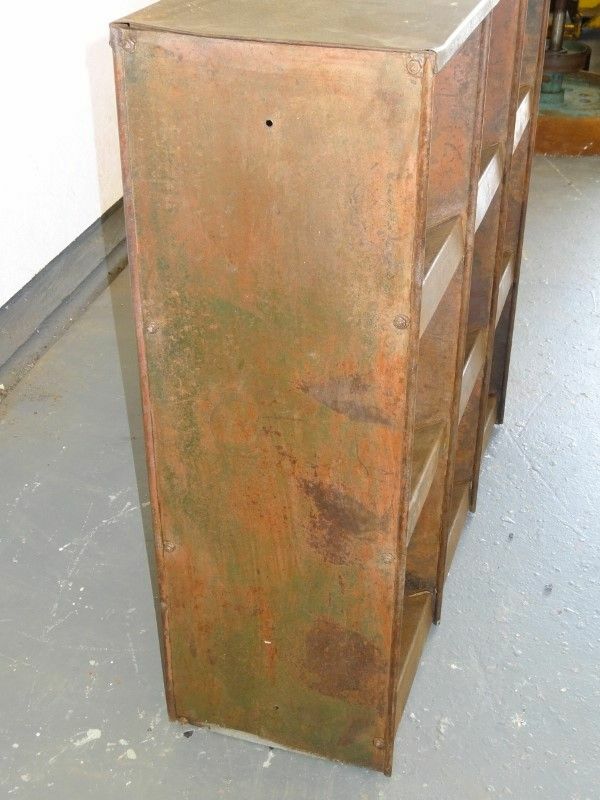 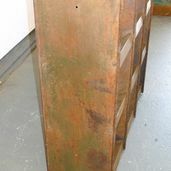 Still showing some original green paint in places, predominately showing red oxide primer and bare steel.